Mark your calendars now for what weeks in 2019 will have Sunday coupon inserts. 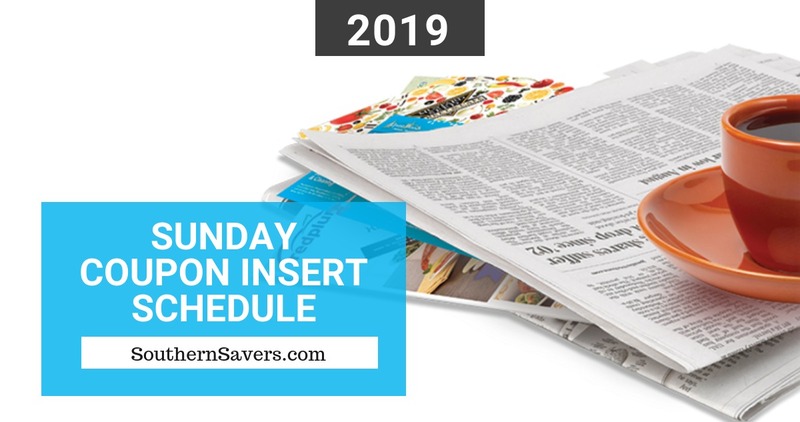 This 2019 Sunday Coupon Insert schedule should help you at least know when to stock up on papers (or to just skip a week). Keep in mind that there are always a few little changes as some of these are based on past trends with inserts. There will also be weeks that have a few extra inserts (like when General Mills and Unilever release entire coupon inserts). Note: As of March 25, 2018, the Red Plum insert is now called RetailMeNot Everyday. You can always see the full preview each week of what coupons to expect on the Wednesday before on Southern Savers.